Frederick Charles Swallow was born July 9th 1870 in Annfield Plain, Durham. Two generations of his family were all involved in the coal industry, his father Ralph was a mining engineer and his Grandfather, John was a Coal 'Hewer'. During his early years he was moving around the country as his father worked on new mines, which included Annfield Plain, Hebburn Colliery. 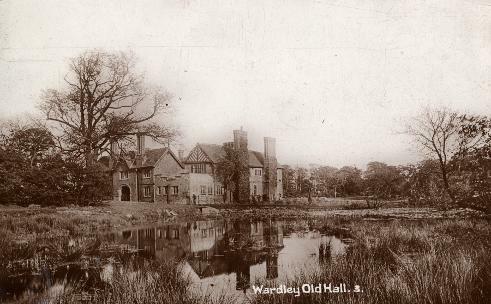 Eventually they settled down in Greater Manchester living in a Medieval Manor House called Wardley Hall (left). Frederick was to follow in his Fathers footsteps and studied to be a Mining Engineer gaining degrees in mining and geology. I wonder if he was took under his dad's wing? because without a doubt he was an accomplished Engineer. At the tender age of 30 Frederick, packed his bags once more and travelling south to a small midland town that was making great strides in the coal industry and his expertise was needed by Reginald Stanley as he opened the Nuneaton 'New' Colliery in Whittleford. The pit opened in 1900 but its was reported to have been sunk in 1896. Reginald 'put' him and his sister Elizabeth up in the 'Glenroy' Manor Court Road next door to himself and Dr Nason (not bad neighbours) and set Frederick the task of making the colliery a success. From its early years when just 50 people worked on the sinking, he oversaw the most successful period of the site, its employees went to over 1100 in 1910, with coal being shipped all over the country. During his short space of time in Nuneaton, Frederick caught the eye of a young lady, who was visiting her sister. 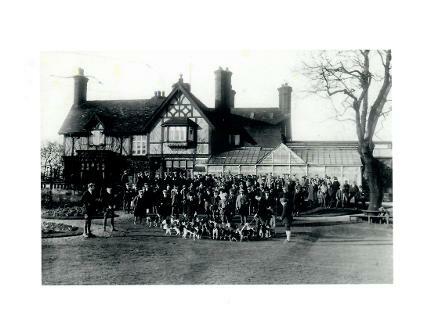 Margaret Hurn Stanley spent time in Nuneaton with Annette at Manor Court, she must have been smitten by this charming man, and Reginald knew his pedigree and could see them being well suited and in 1902 they were tying the knot. 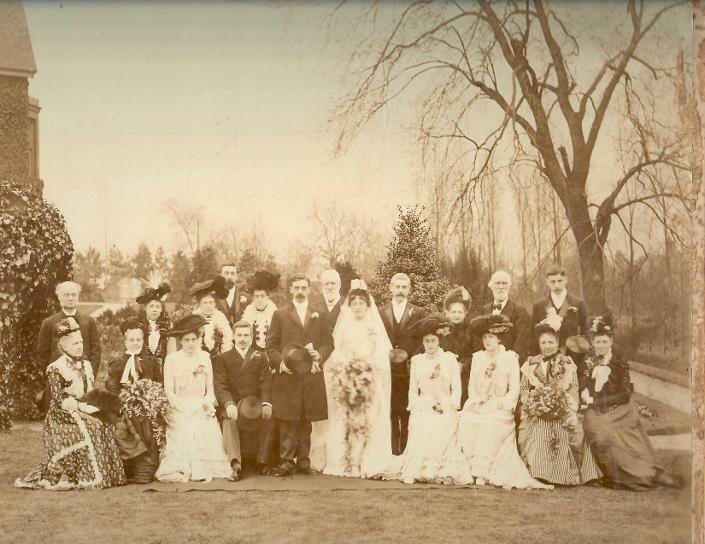 Below is a brilliant wedding photo sent to me from America by Frederick's grandson, along with some brilliant information on the family. A beautiful photo sent to me from America by a relative of Frederick Swallow. 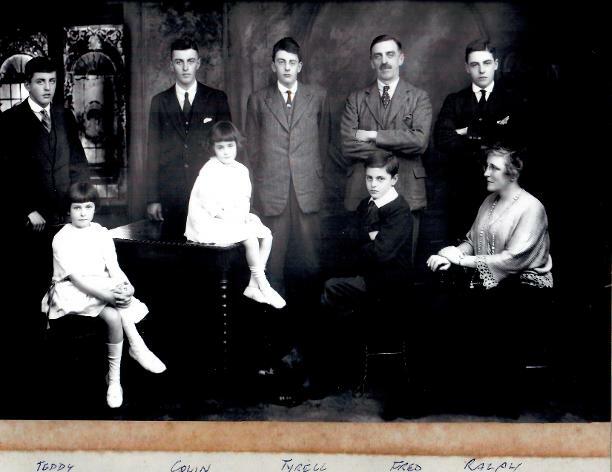 This is taken in the garden of Manor Court (just make the edge of it), Reginald is in the centre, Jacob Stanley (back second right) and Reginald Broadbent also hiding in the back row. Taken in 1902 at Frederick's marriage to Margaret. The new couple didn't live in Nuneaton for long, they had two children Frederick Colin and Ralph Thompson, before his experience was needed at a failing colliery in Hednesford, Staffordshire. Again he wasn't here long, packing up and heading back up north to Beighton, Sheffield in a consulting capacity eventually settling in Doncaster where he had two more children, Jean Mary on 3rd May 1914 and Patricia Lois in 1917, who lives in Boston, America aged 98 and still going strong. Thanks to Patricia we have some really interesting stories about Frederick's later life. 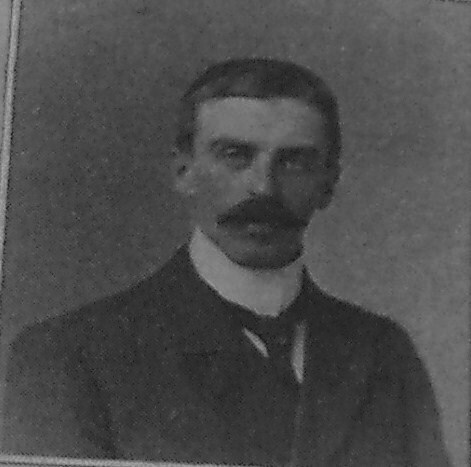 In 1919, Earl Fitzwilliam a major British Family in the 1900's approached Frederick to run his collieries. The Earl personally knocked on his door and told him he had taken over the running of Wharncliffe Silkstone Colliery in Yorkshire and needed his knowledge. He became Managing Director, overseeing the output of 450,000 tonnes of coal during the mid 1930's. He was also involved in a new company The British Tar Products and others including Garforth Collieries in Leeds. On taking this job, came the amazing Victorian house called Tankersley Grange within walking distance of the colliery. The family had various staff including two gardeners and a chauffer called Bates. Mixing with the Fitzwilliams became the norm, being invited over to Wentworth House for dinner on many occasions, becoming a very close friend as well as an employee. In 1937 the Newton Chambers Company took over the running of Thorncliffe and Frederick decided it was time to retire, Tankersley Grange became offices for the Nation Coal Board when it became privatised, eventually being knocked down to make way for the M1. The Swallow Family portrait taken at Tankersley Hall. Ralph and Colin where born in Nuneaton before they left for the north.